(Preface, upper left): The Carolinas Campaign began on February 1, 1865, when Union Gen. William T. Sherman led his army north from Savannah, Georgia, after the “March to the Sea.” Sherman’s objective was to join Gen. Ulysses S. Grant in Virginia to crush Gen. Robert E. Lee’s Army of Northern Virginia. Scattered Confederate forces consolidated in North Carolina, the Confederacy’s logistical lifeline, where Sherman defeated Gen. Joseph E. Johnston’s last-ditch attack at Bentonville. After Sherman was reinforced at Goldsboro late March, Johnston saw the futility of further resistance and surrendered on April 26, essentially ending the Civil War. 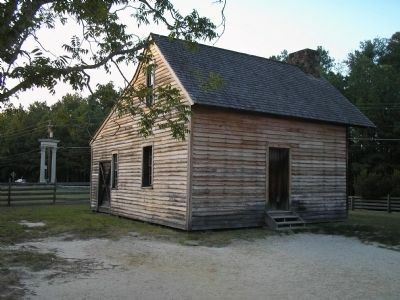 Gen. Wade Hampton’s headquarters – he met on April 17 with Hampton, Postmaster General John H. Reagan, Secretary of War John C. Breckinridge, and North Carolina Governor Zebulon B. Vance. During the conference, Johnston announced the assassination of President Abraham Lincoln. He and Sherman both feared that the news would so anger Union soldiers that they would retaliate against Confederates. In fact, that night a mob of Federals threatened to burn Raleigh and dispersed only after Union Gen. John A. Logan blocked the road with a cannon and threatened to open fire. This incident, and others similar to it, encouraged Sherman and Johnston to come to terms and disperse the Southern soldiers to their homes. On April 26, Johnston surrendered not only the approximately 32,000 men camped nearby, but also most of the Confederate forces elsewhere in North Carolina, as well as in South Carolina, Georgia, and Florida – about 89,000 men. It was the largest surrender of the war. For many soldiers on the Dickson farm, their last memory of the area was the chiming of the Hillsborough town clock as they withdrew to Greensboro to lay down their arms. is a good place from which to begin a tour of historic Hillsborough. Location. 36° 3.307′ N, 79° 4.85′ W. Marker is in Hillsborough, North Carolina, in Orange County. Marker can be reached from State Highway 86, on the right when traveling south. Touch for map. 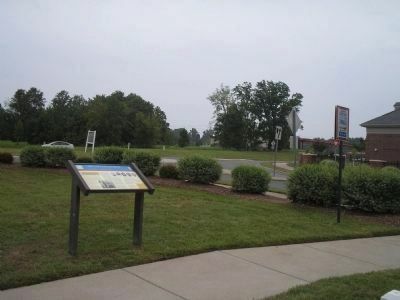 Marker is located in the Hampton Pointe Shopping Center. 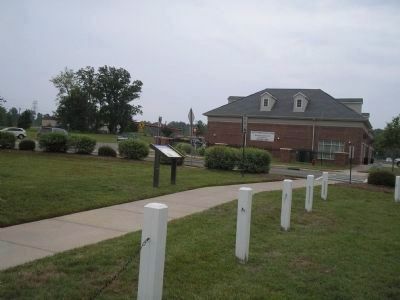 Marker is in this post office area: Hillsborough NC 27278, United States of America. Touch for directions. Other nearby markers. At least 8 other markers are within 2 miles of this marker, measured as the crow flies. Occaneechi (approx. 1.6 miles away); Paper Mill (approx. 1.6 miles away); Alexander Dickson House (approx. 1.6 miles away); James Hogg (approx. 1.7 miles away); Billy Strayhorn (approx. 1.7 miles away); North Carolina Society of the Cincinnati (approx. 1.7 miles away); William Churton (approx. 1.7 miles away); Edmund Fanning (approx. 1.7 miles away). 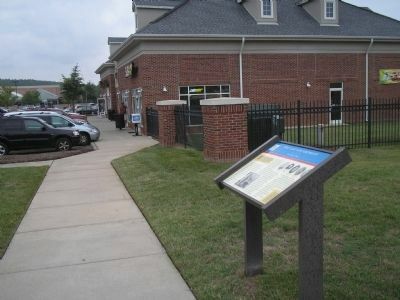 Touch for a list and map of all markers in Hillsborough. More about this marker. 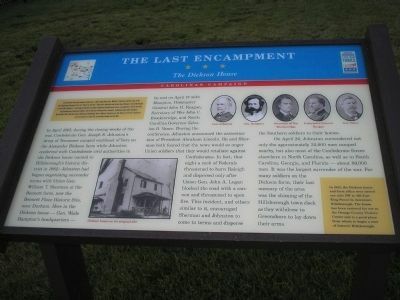 The bottom of the marker contains a photograph of the “Dickson house on its original site.” The top of the marker features portraits of Gen. Johnston, Gen. Hampton, Secretary of War Breckinridge, Postmaster General Reagan and Gov. Vance. The Dickson House has been moved several miles north to Hillsborough's historic district and currently serves as the Hillsborough/Orange County visitor center. 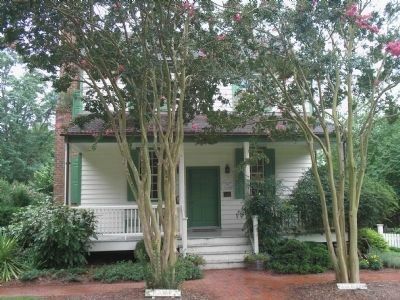 In this house on April 26, 1865, Confederate Gen. Joseph E. Johnston surrendered his army and other forces to Union Gen. William T. Sherman, essentially ending the Civil War. More. Search the internet for The Last Encampment. Credits. This page was last revised on June 16, 2016. This page originally submitted on November 29, 2008, by Bill Coughlin of North Arlington, New Jersey. This page has been viewed 1,652 times since then and 26 times this year. Photos: 1. submitted on November 29, 2008, by Bill Coughlin of North Arlington, New Jersey. 2, 3, 4, 5. submitted on July 31, 2010, by Bill Coughlin of North Arlington, New Jersey. 6. submitted on November 29, 2008, by Bill Coughlin of North Arlington, New Jersey.